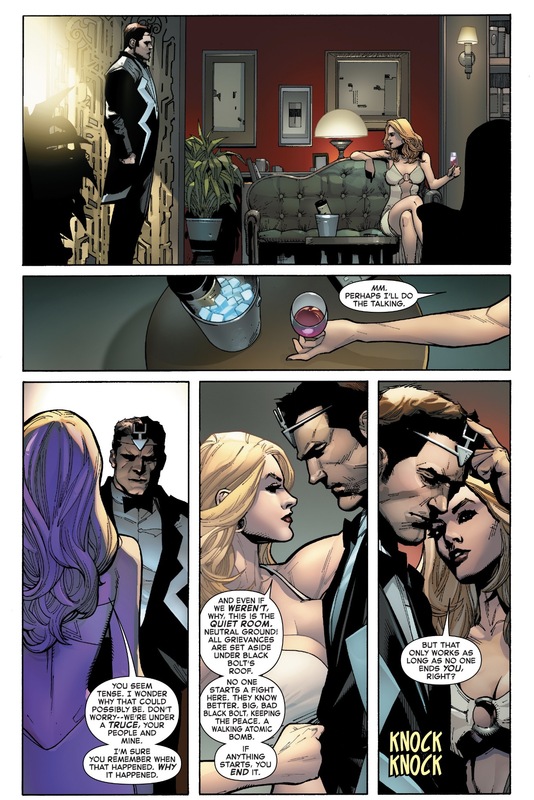 This entry was posted in black bolt, emma frost, havok, Magneto, magneto, Marvel Comics, medusa, The Inhumans, Uncanny X-Men, Versus, white queen, X-Men and tagged emma frost, Inhumans vs. X-Men, medusa on March 14, 2017 by lowbrowcomics. 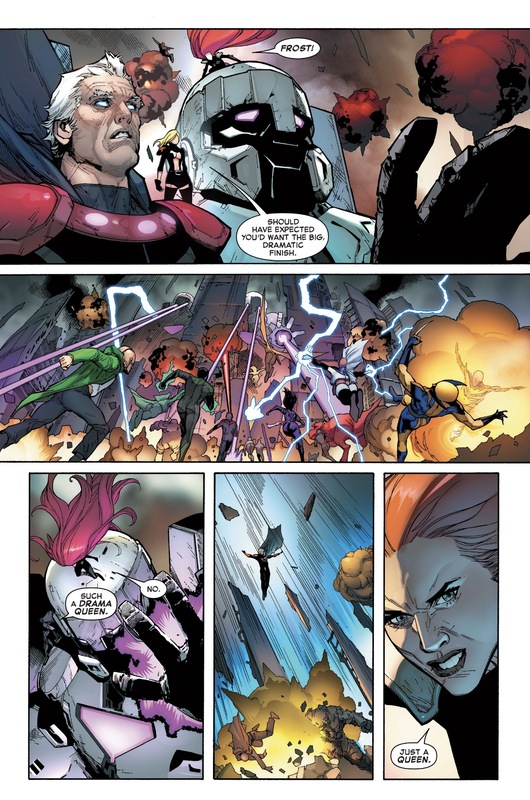 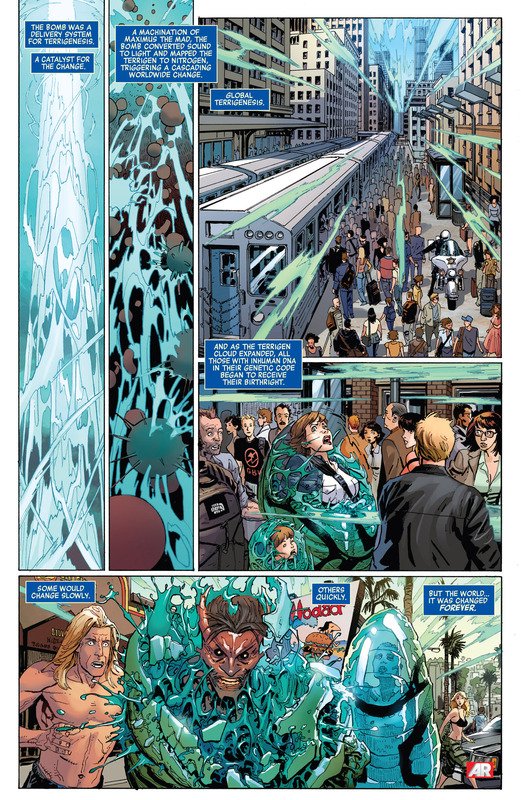 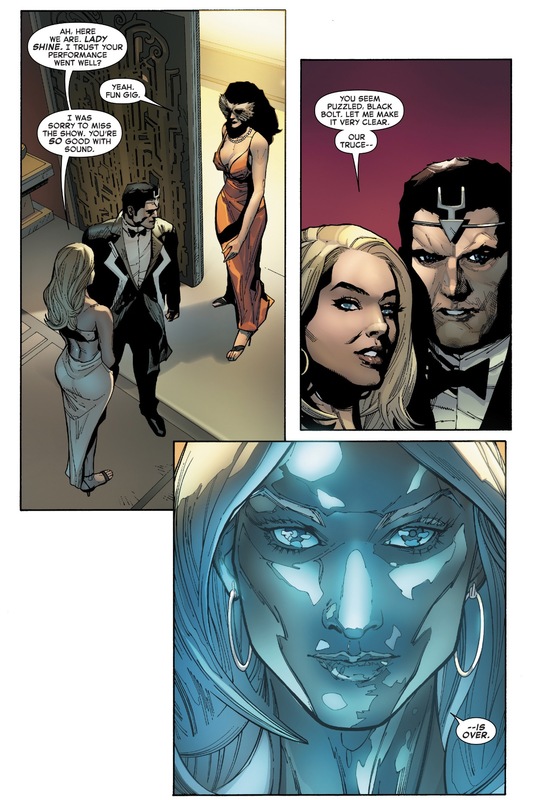 This entry was posted in black bolt, Dazzler, emma frost, Marvel Comics, The Inhumans, Versus, white queen, X-Men and tagged Inhumans vs. X-Men on March 13, 2017 by lowbrowcomics. 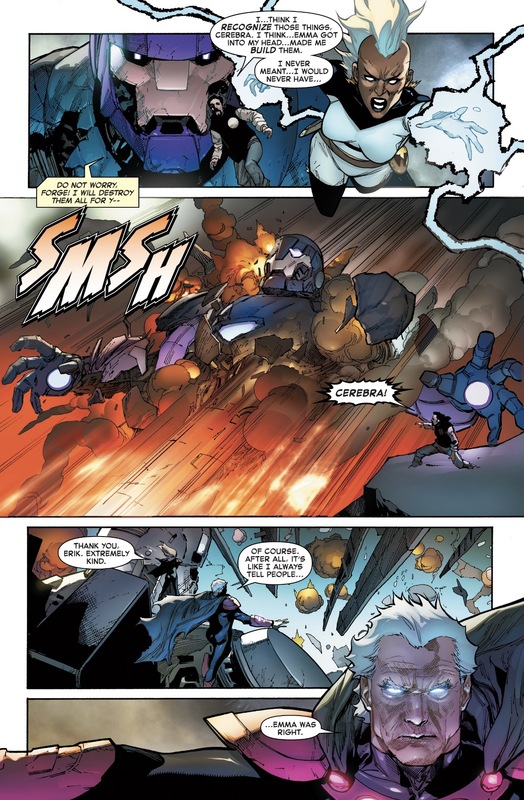 This entry was posted in black bolt, Hulk, medusa, The Illuminati, The Inhumans, world war hulk and tagged black bolt, comics, Doctor Strange, Elloe Kaifi, Hiroim, hulk, iron man, Korg, marvel, medusa, miek, moon, mr. fantastic, No-Name the Brood, sorcerer supreme, The Inhumans, warbound, world war hulk on May 14, 2016 by lowbrowcomics. 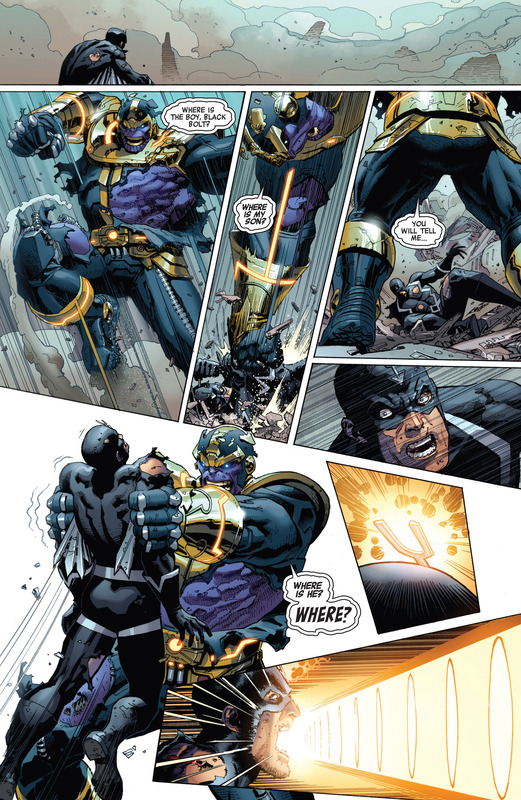 This entry was posted in black bolt, Marvel Comics, thanos, The Inhumans, Versus and tagged black bolt, terrigen, Terrigen Mists, thanos, The Inhumans, versus on February 1, 2016 by lowbrowcomics. 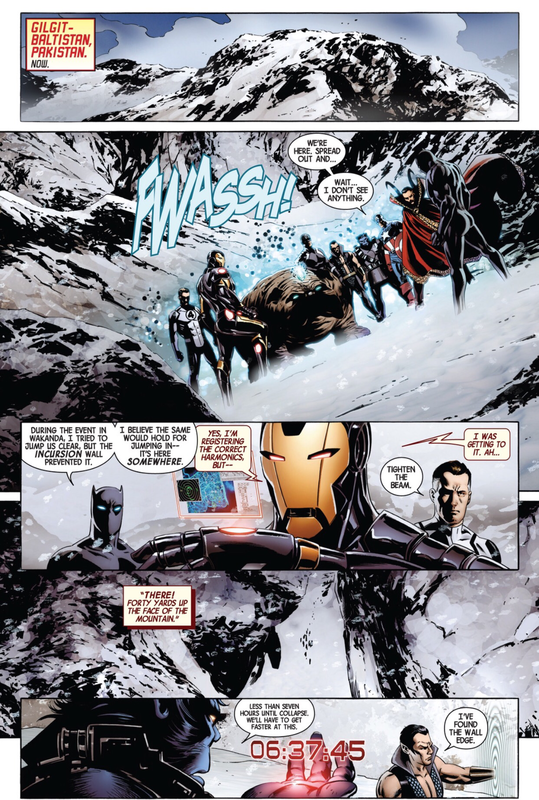 The Illuminati assembled after Black Panther discovered that another Earth was colliding with Earth-616. 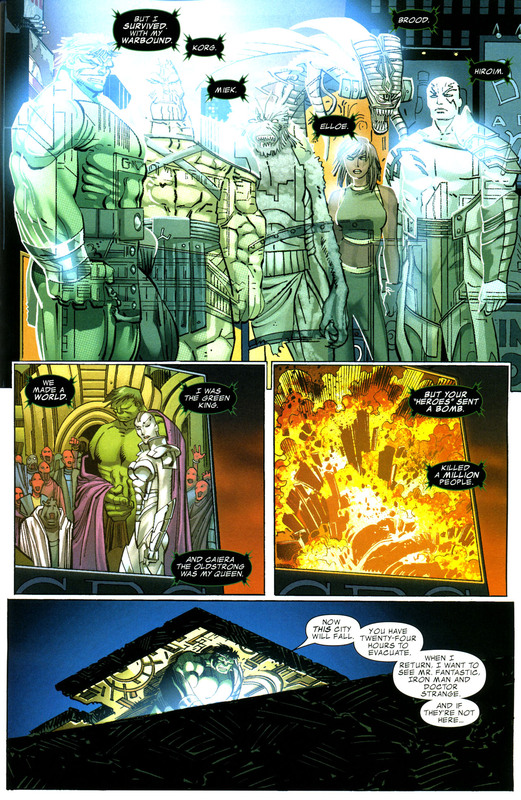 Reluctantly he called the Illuminati together to stop the collision. 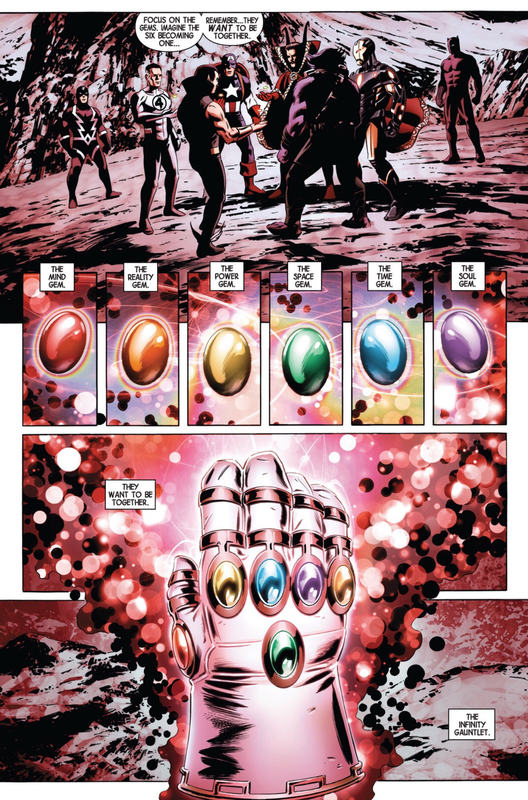 After long debate they decided that the only way to do so was to destroy the other Earth with the Infinity Gems, but had to find the Mind Gem that was in the possession of Charles Xavier before he died. 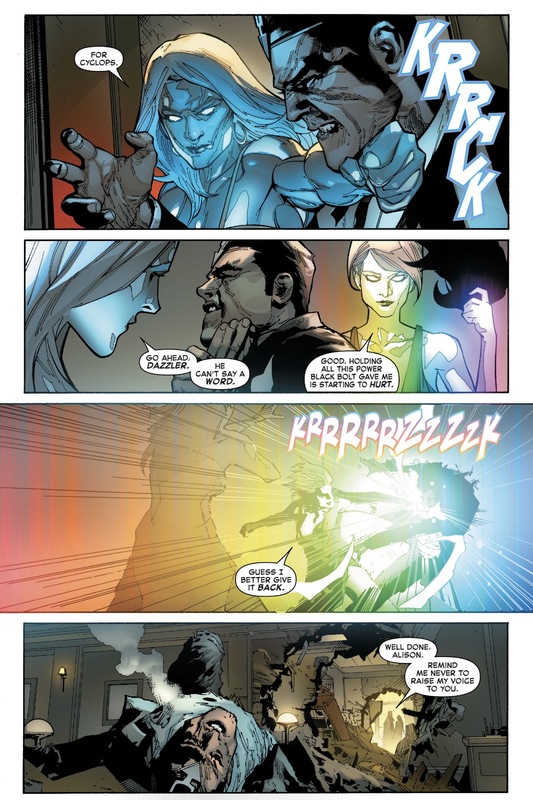 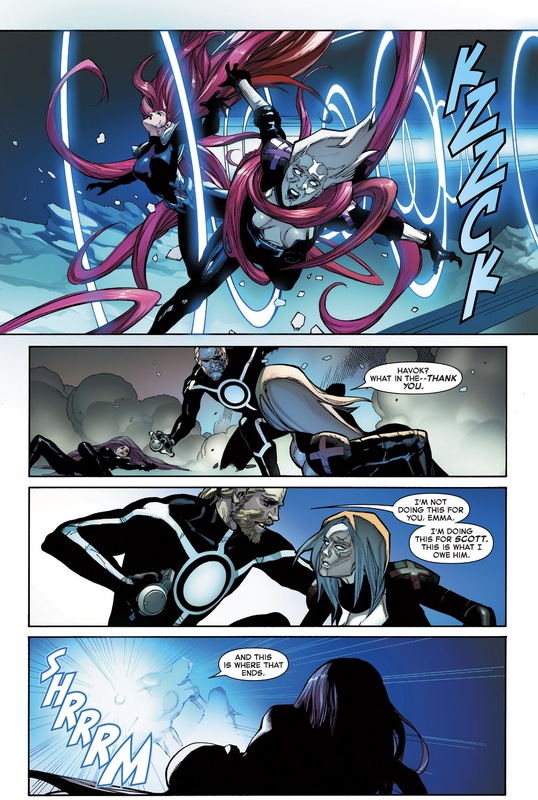 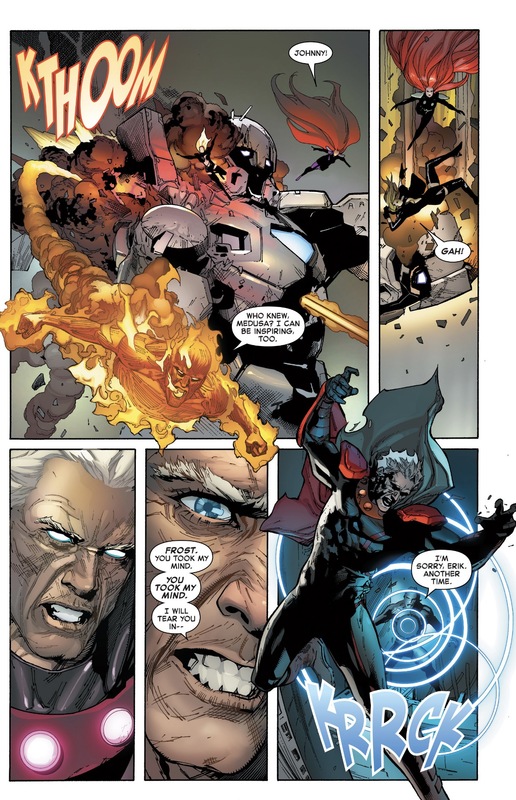 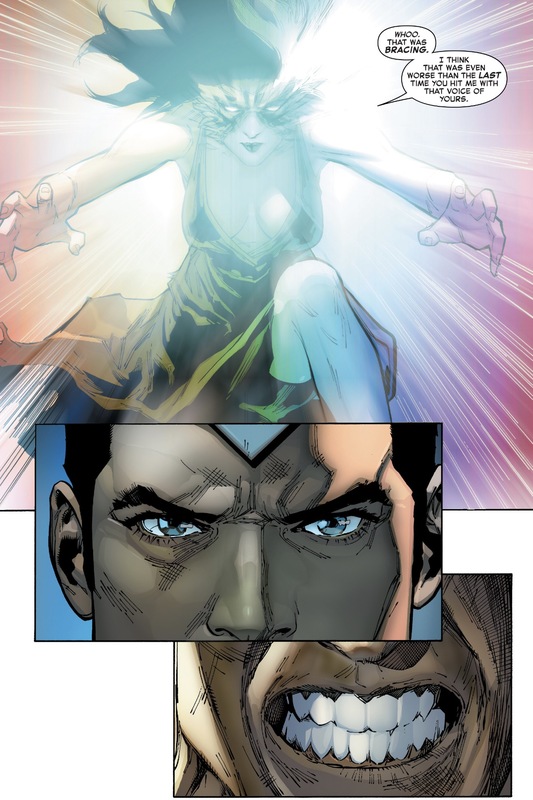 Beast eventually recovered a memory implant put in his mind by Xavier, which asked him to take his place in the Illuminati, and where the gem was. 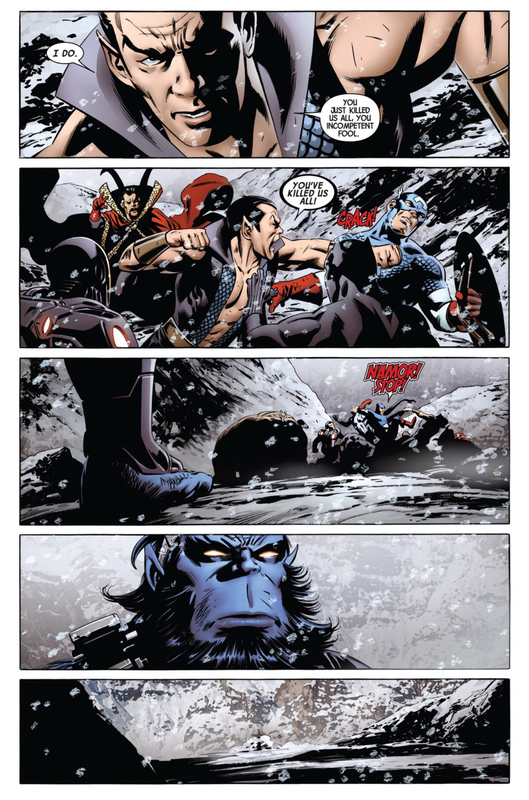 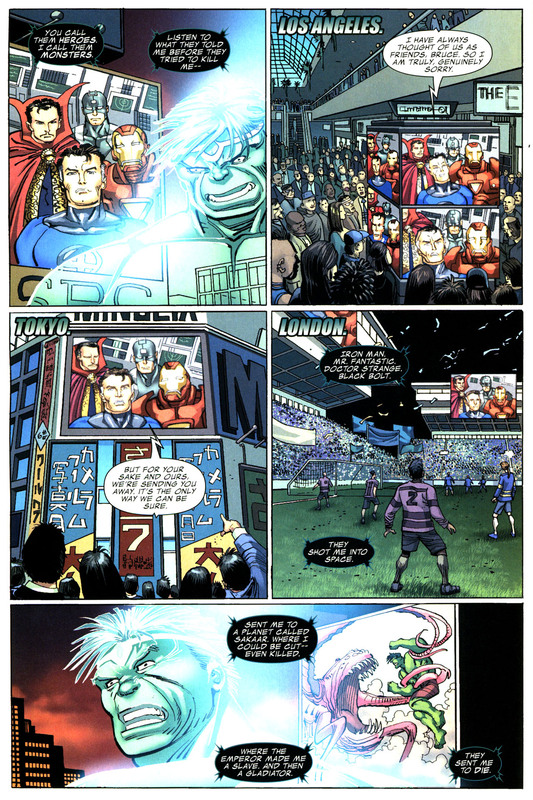 As soon as Hank retrieved it, Namor, Black Bolt, and Captain America showed up and recruited him into their team. 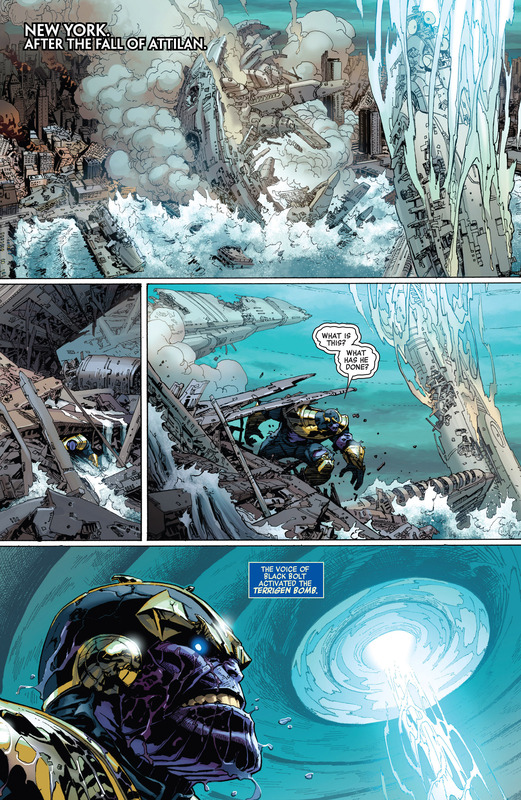 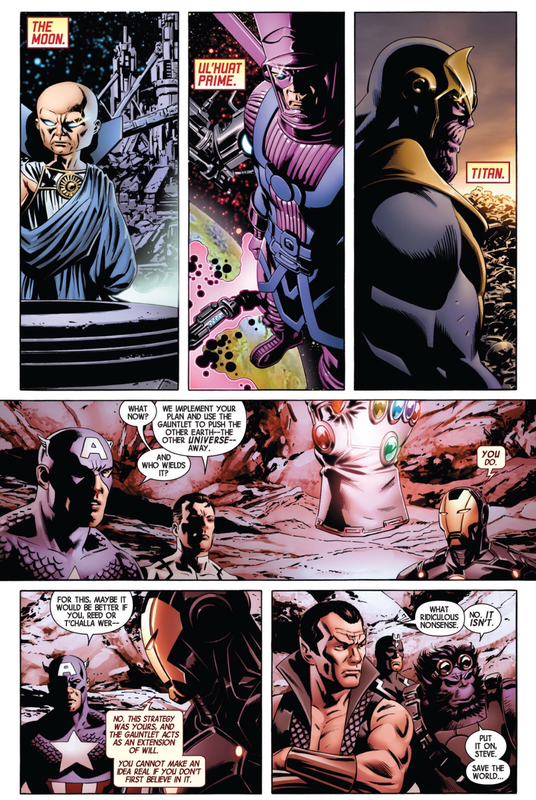 They went to the location where the other Earth would hit and formed the Infinity Gauntlet, which got the attention of Uatu the Watcher, Galactus, and Thanos. 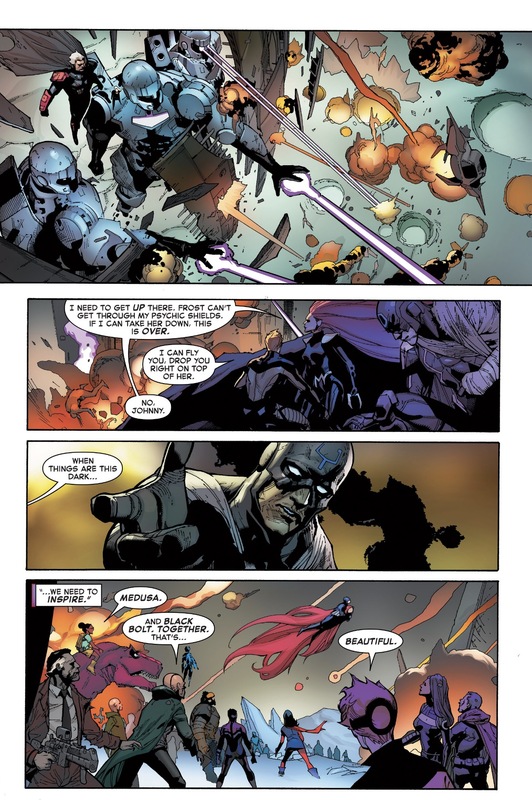 The group decided Captain America should wield it. 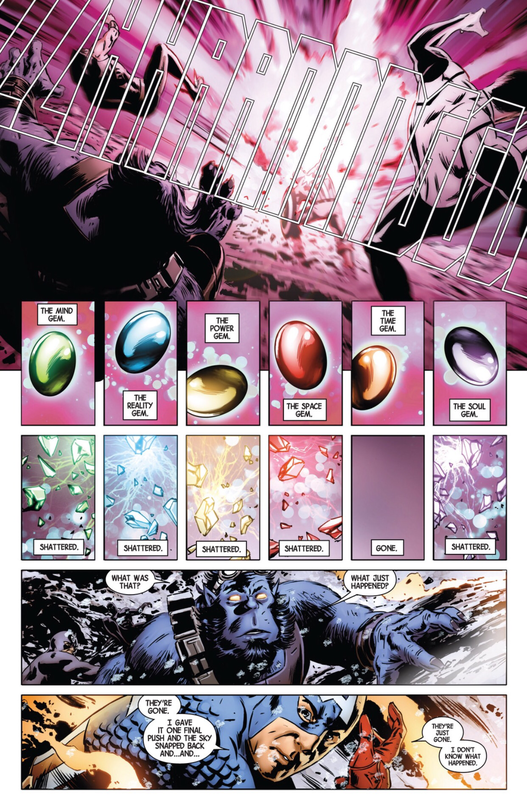 Cap fired the power at the other Earth, but something went wrong and caused all the Infinity Gems to shatter except the Time Gem, which suddenly vanished. 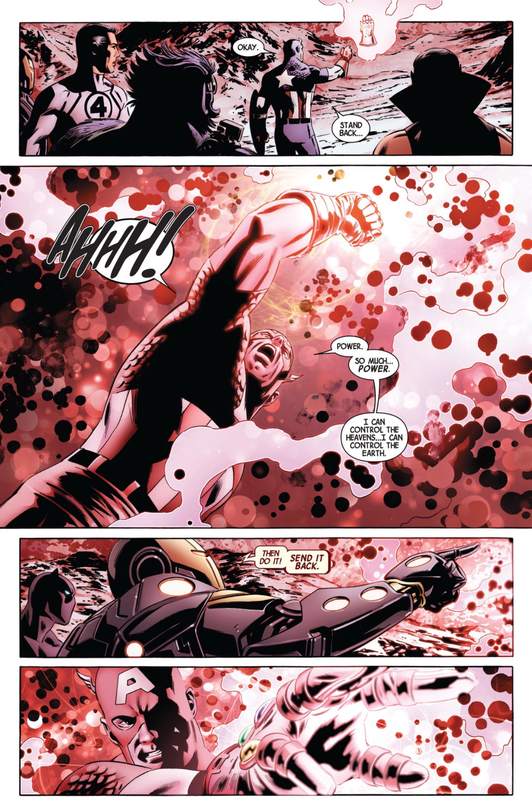 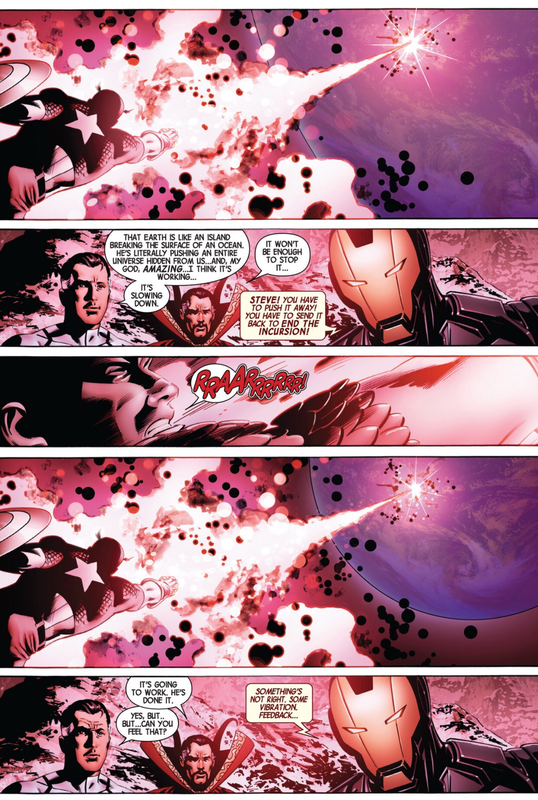 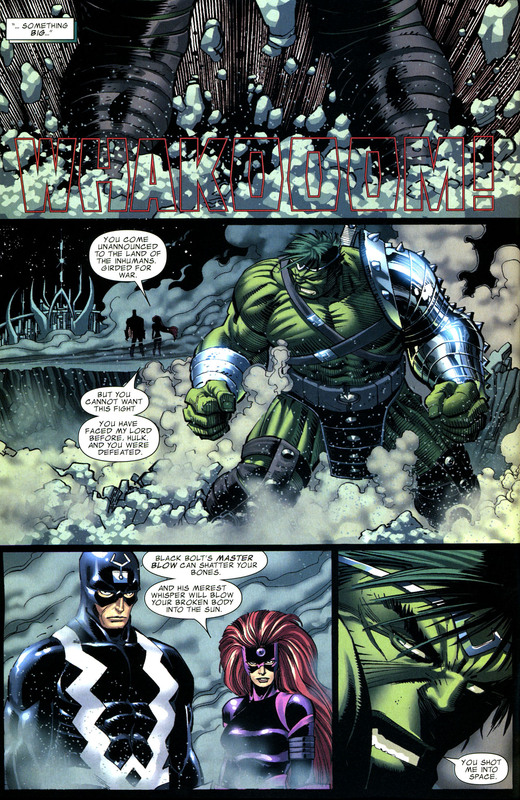 This entry was posted in Avengers, black bolt, Black Panther, Captain America, Doctor Strange, Fantastic Four, Infinity Gems, Infinity Guantlet, Infinity War, Namor, Secret Wars, The Illuminati, The Inhumans, The Submariner, Wakanda, X-Men and tagged avengers, beast, black bolt, black panther, captain america, Doctor Strange, infinity gems, infinity guantlet, infinity stones, iron man, Namor, new avengers, Reed Richards, secret wars, thanos on July 20, 2015 by lowbrowcomics. 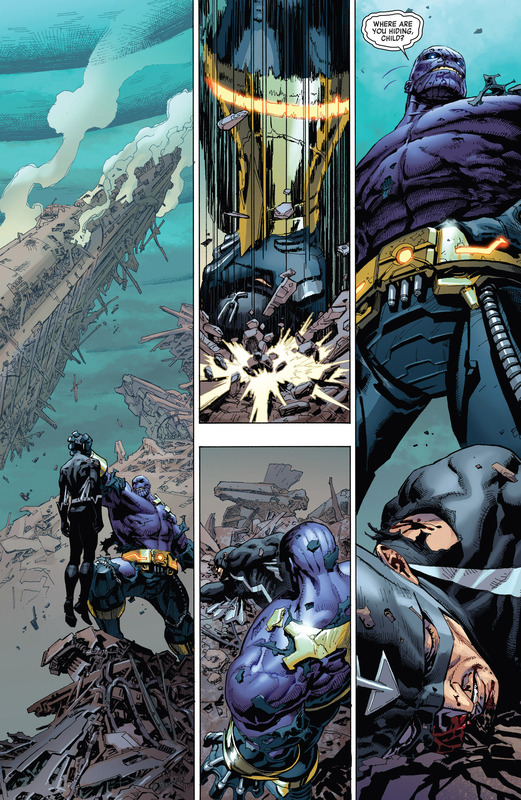 Apocalypse is on a rampage in Wakanda. 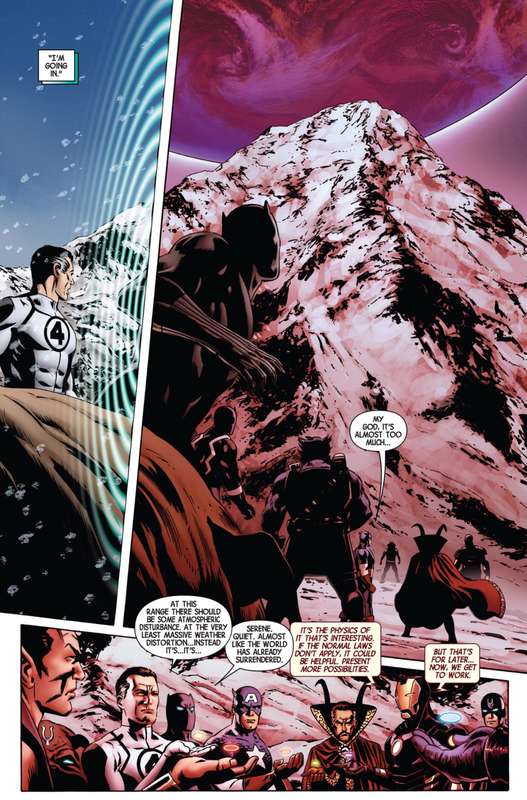 Black Panther calls in a favor to Blackagar Boltagon to help with the situation. 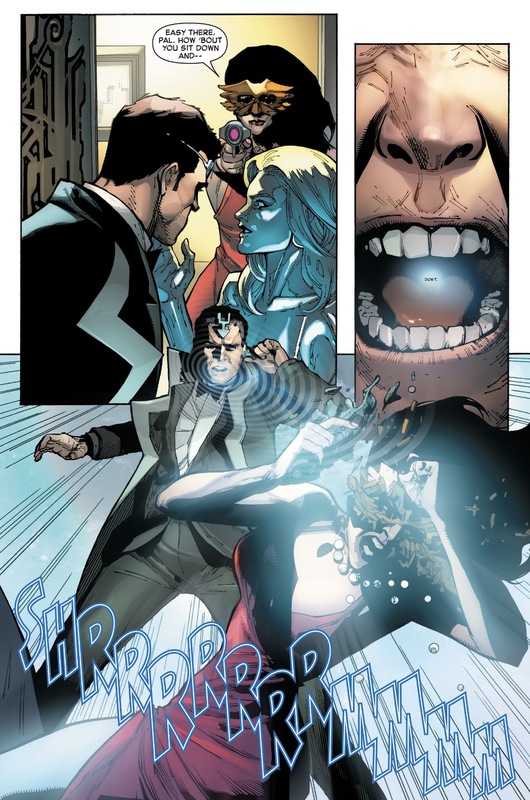 Uncanny Inhumans #0: Black Bolt. 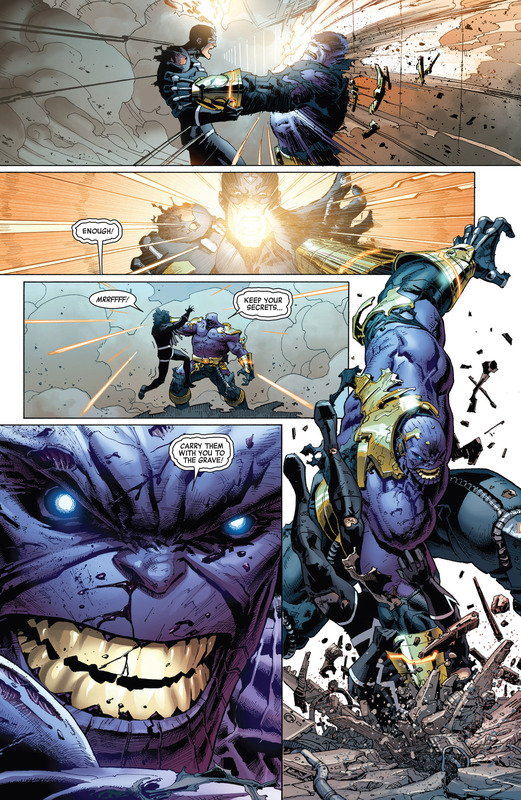 How powerful is he? 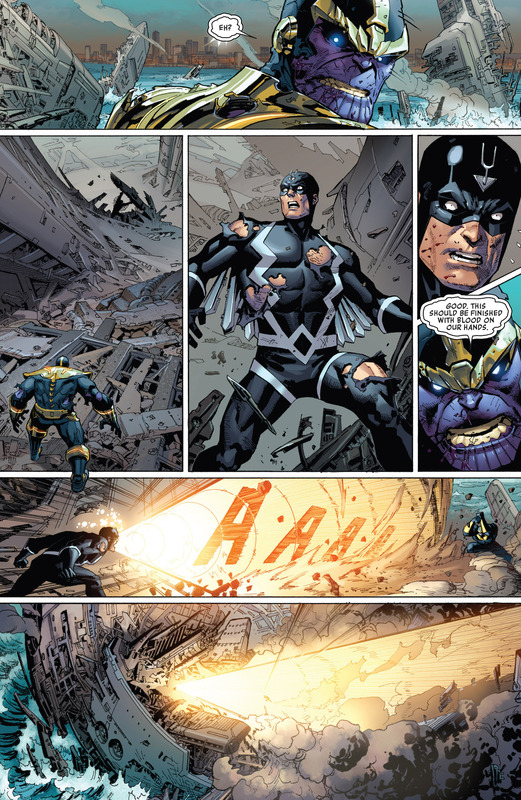 How powerful is Black Bolt really? 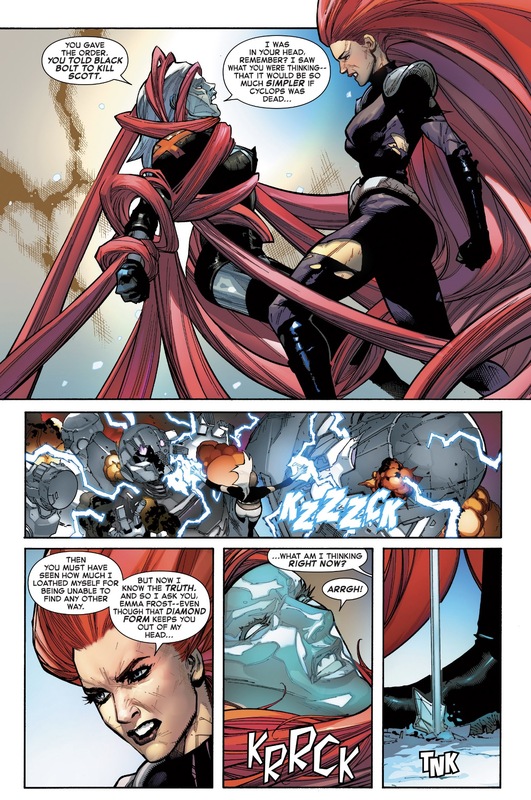 I was just reading the new Uncanny Inhumans #0 and noticed something pretty interesting. 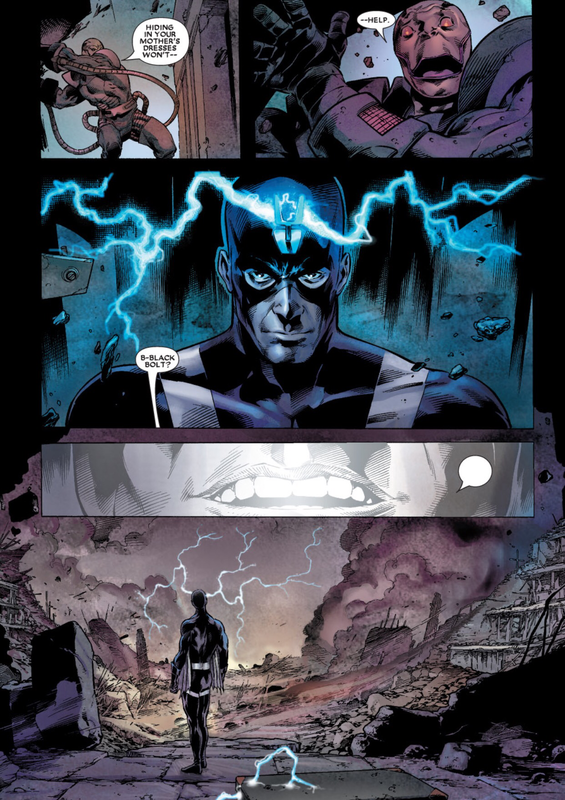 Black Bolt is searching for his son and comes across a fortified castle inhabited by Kang the Conqueror. 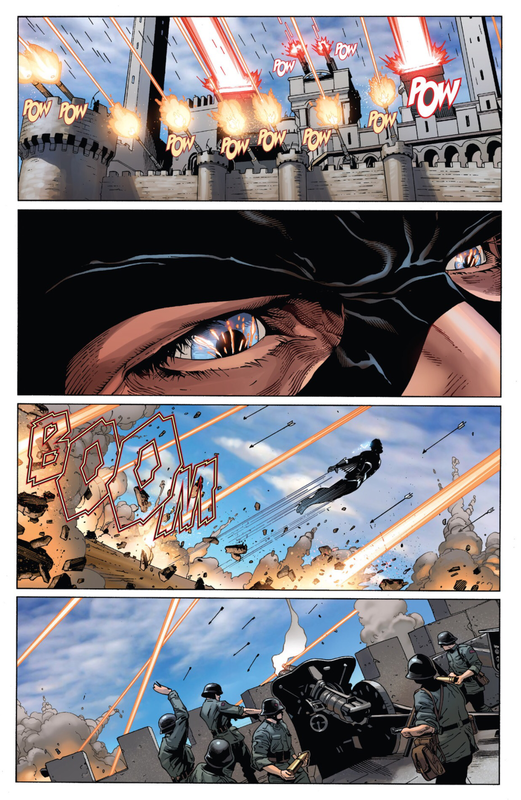 Kang’s battlement defenses are composed of archers, artillery-men and soldiers from different eras. 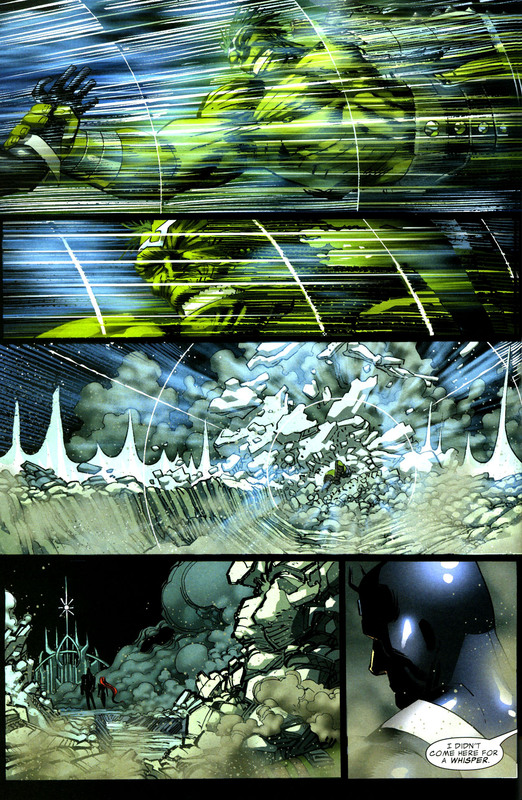 All of them raining down hell on Black Bolt who is semi-casually flying through the hail of bullets, bombs and arrows. 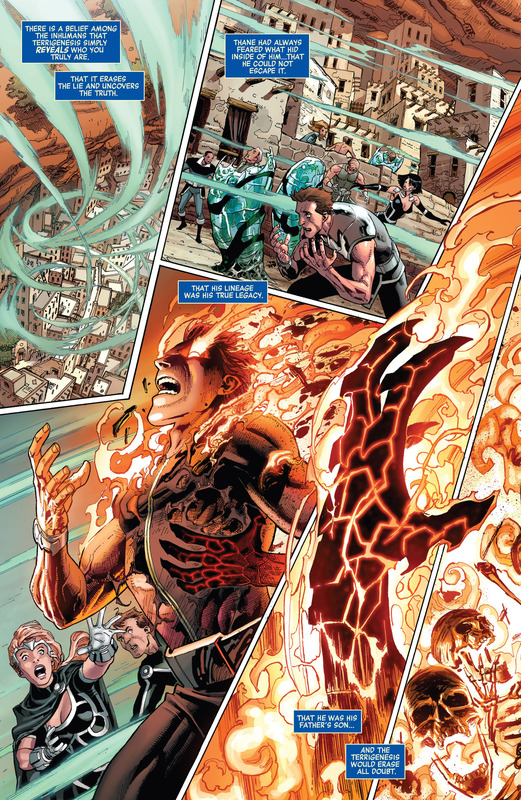 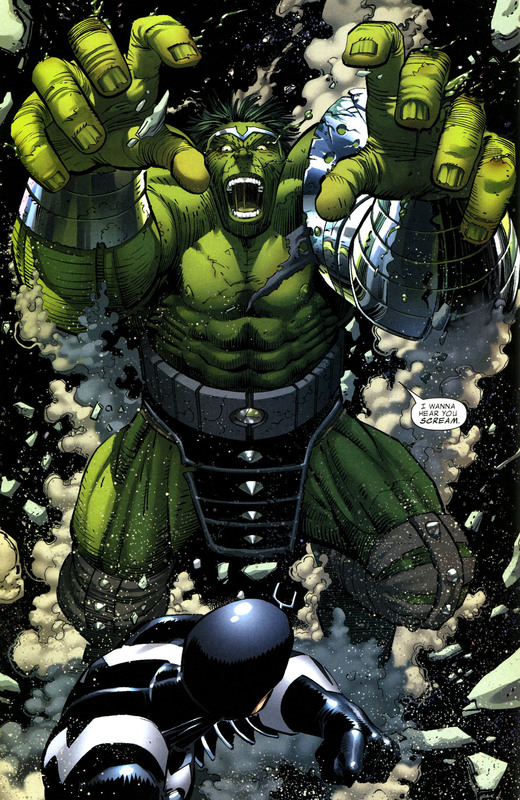 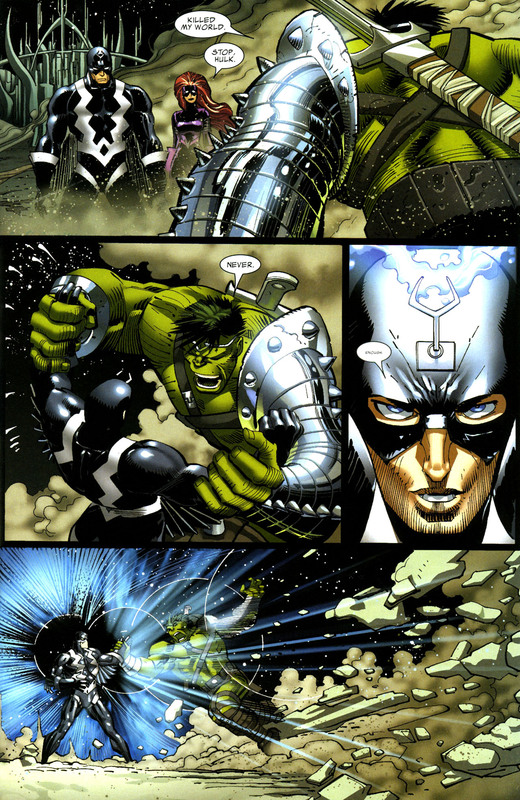 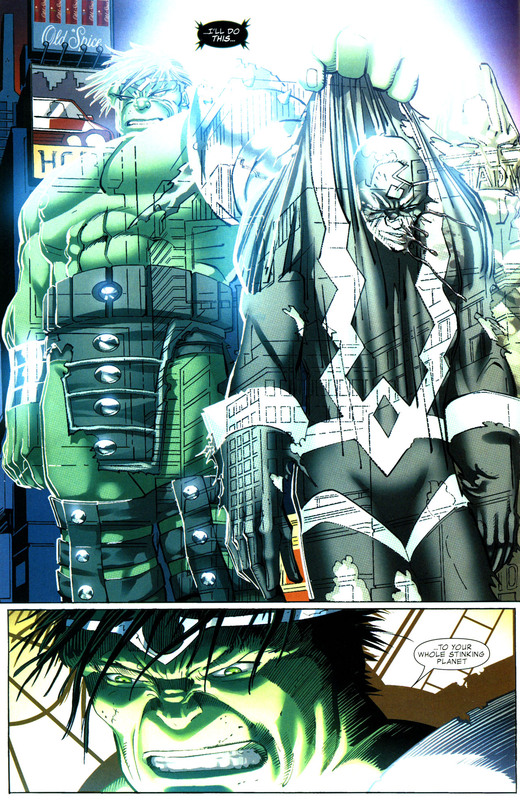 This entry was posted in abilities, black bolt, Hulk, The Inhumans, The Uncanny Inhumans, Versus, world war hulk and tagged black bolt, hulk, inhumans, master blow, moon, Slider, uncanny Inhumans, world war hulk on April 2, 2015 by lowbrowcomics.